After the Oakland Raiders acquired Antonio Brown and agreed to sign Tyrell Williams, Jordy Nelson’s days were numbered as the team’s leading wide receiver. Now it seems he won’t be wearing silver and black at all anymore. 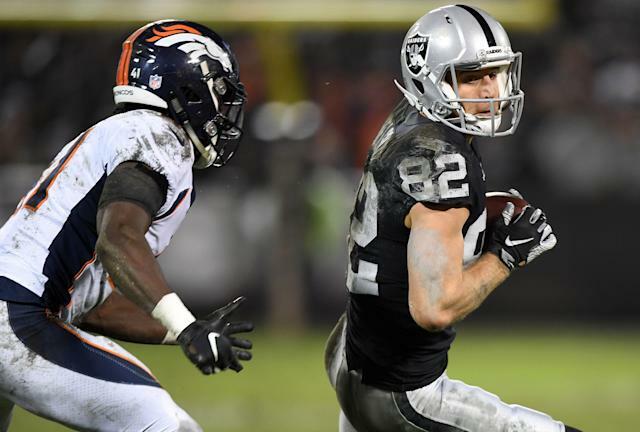 According to a report by The Athletic’s Marcus Thompson, the Raiders will release the 33-year-old wideout after just one season in Oakland. Nelson was second on the team with 739 yards last season. The Raiders paid Nelson his $3.6 million 2019 roster bonus early last December to ease their salary-cap situation, and head coach Jon Gruden said, “He’ll be back.” However, the Raiders are known to quickly change their minds on players. They also released quarterback A.J. McCarron on Thursday after trading for him last August and released receiver Martavis Bryant last September, just four months after trading a third-rounder for him. Still, the additions of Brown and Williams made Nelson expendable since he would have taken a much smaller role. Nelson would have been particularly redundant with Brown around since both thrive on underneath routes. Since the Raiders already paid Nelson’s bonus, the only dead money from his contract will be half of the pre-paid roster bonus — $1.8 million — instead of his full $7.2 million salary. Nelson joined the Raiders last offseason on a two-year deal after spending his first nine seasons with the Green Bay Packers. While his stats were certainly not overwhelming in his first season in Oakland, they were also a notch above his final season in Green Bay, when he posted only 482 yards on 53 catches. Nelson certainly still has productive years left in the league and should latch on to a competitive team on another short-term deal. Last offseason, the New Orleans Saints and Seattle Seahawks, among other teams, were reportedly interested in him.